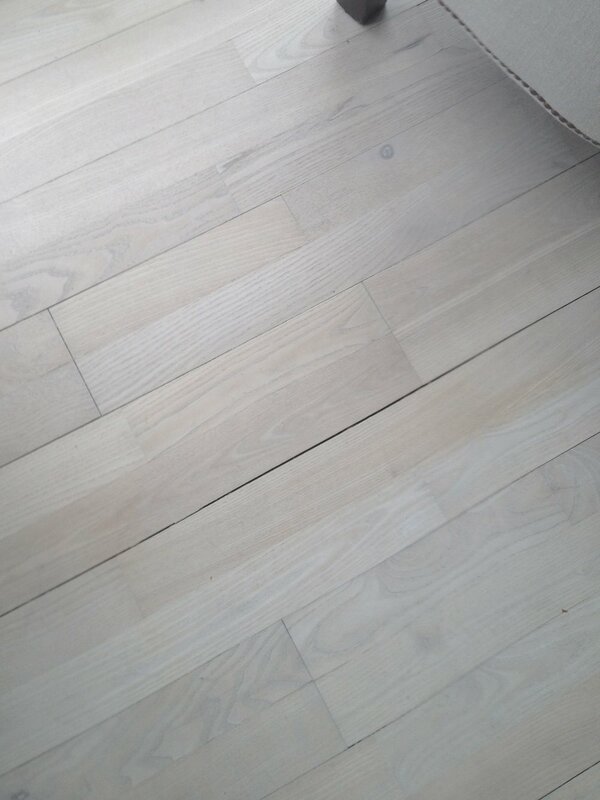 White Lye treatments create a beautiful natural look on Pine, Oak and Ash floors amongst others. After sanding, the floors are bleached with lye which takes out the yellow, and generally creates a whitewashed effect. The floors can then be finished with a white oil or natural soap. Mopping the floors regularly with natural soap is essential and also enhances the whitening effect. We use traditional Danish Products and techniques. Oak boards, sanded, treated with lye and finished with extra white oil. Victorian pine boards, sanded bleached and white soaped for an ultra natural finish. Very nice feel on bare feet! Treated with Lye and White Oil. The amount of white is governed by the sanding, type of oil and the soaping process. Herringbone oak parquet, treated with Lye and finished with Extra White Oil . Lightly sanded pine boards, bleached and finished with white Oil. Rough and ready raw look !